Margate was a seaside town which for over a century had attracted crowds of Londoners by its wide beaches and amusement facilities. In the morning of 24 July 1940, the weather was still cloudy with patches of rain, but the veil of fog which during previous days had covered the gray shallow waters of the Thames Estuary was finally dispersed by light wind. This day, Margate seaside promenade would provide a grandstand view of air fighting. 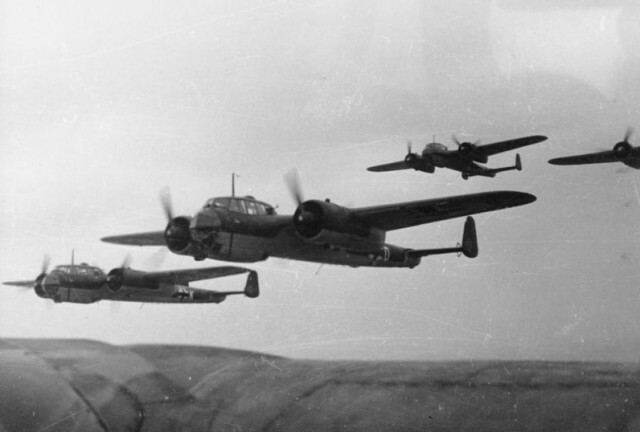 Just before noon, a large force of German aircraft appeared through a gap in the clouds, heading for another convoy in the Estuary. The German raid counted about 18 Dorniers Do 17 escorted by some 40 Messerschmitts Bf 109. 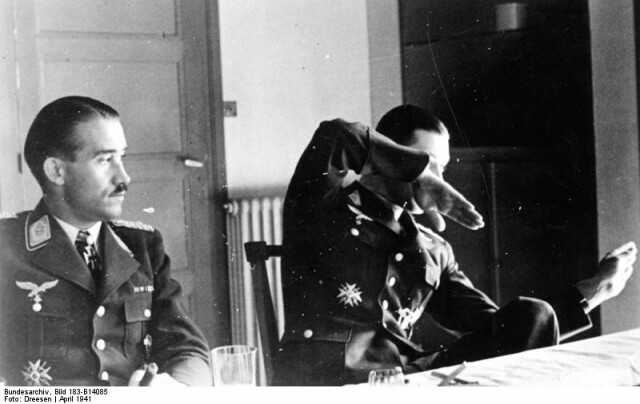 Flying among the escorting fighters of the Luftwaffe was one of the new stars of the Jagdwaffe, Adolf Galland. Freshly promoted to Major, Galland arrived to III./JG 26 in Pas de Calais only one day previously. This was to be his premiere mission in the Battle. Galland, who begun his combat career in Poland as ground attack pilot on slow and uninspiring biplanes, had not flown a fighter before February 1940, the time of his posting to JG 27. He was, however, a talented and experienced officer; assigned to the Geschwaderstab, he assumed the role of Geschwaderadjutant. His talents as a fighter pilot showed during the French campaign. By the end of it, Galland had accumulated 14 victories. On 6 June 1940, Hauptmann Galland was appointed Gruppenkommandeur of III./JG 26. Promoted further to Major on 18 July, he would stay with III./JG 26 throughout the Battle of Britain. The approaching raid was detected by radar; alert was sent to No. 54 Spitfire Squadron which scrambled from Rochford. No. 54 was by that time one of the most accomplished fighter units in the RAF, with three pilots who had achieved ace status over Dunkirk – Sqn/Ldr Leathart, P/O Allen, F/Lt Deere. Deere immediately radioed to sector controller requesting reinforcements. While the Ops Room scrambled two additional Spitfire units to assist – No. 65 Squadron from Hornchurch and No. 610 Squadron from Gravesend, No. 54 split into two sections and flung themselves into attack. Action became very heated as German escorts joined the melee and aircraft fought in and out of the clouds. The Spitire, trailing black smoke, was the first to emerge from the clouds in full view of the spectators along the Royal Esplanade. It pulled off from its dive along the beachfront, then, its engine at idle speed, ascended slowly over the town. Someone cried out: “He’s going to land at Manston!”. The airfield was only three miles from the beach. Suddenly, the Spitfire erupted into a ball of flame, and, almost stopping in the air, plummeted into the ground among the houses of Cliftonville, about a mile away from Margate’s famous scenic railway. The pilot who died in front of the stunned onlookers was P/O John Allen, age 24, an ace with seven victories. He was credited with No. 54 Squadron’s first claim of the war, receiving a DFC from King George VI only a few weeks before his death. Aircraft were now falling off the sky. New Zealander Colin Gray, another ace-to-be of No. 54 Squadron, shot down a Bf 109 of JG 54 – his third victory. Someone called for help; Grey broke his pursuit trying to locate the colleague in distress. For a moment, cloud engulfed his aircraft. Emerging at the other side, Gray saw another Messerschmitt flying in circles, as if its pilot was trying to hide from the raging dogfight. The British pilot was so surprised that he pressed the gun button without even thinking about the deflection. He scored hits, and the Messerschmitt fell down. The fighting moved to progressively lower altitudes. Dorniers could be seen diving low and pulling out over the sea, almost touching the rooftops of seaside hotels, their white-blue bellies looking like oversized thornback rays, their large black crosses clearly visible. They were chased to sea by Spitfires. A pilotless Bf 109 smashed into an avenue in residential Margate. Another Messerchmitt made a forced landing just outside the town. The pilot, seriously injured, was taken prisoner. “I sighted green section immediately but at the same time saw three Me 109’s diving down in vic to attack them so I gave orders for green section to do a tight a turn as possible to the right this they did and successfully evaded the enemy who had just commenced to open fire as they turned. Blue Section immediately attacked the 109’s which broke up two diving down and one climbing. I attacked the one that climbed, closed to 250 yds and fired two bursts of roughly 6 seconds closing eventually to 50 yds. “When we returned, we looked at each other thoughtfully. We were no longer in doubt that the RAF would prove a most formidable opponent”. At the other side of the Channel, Al Deere made another note. Of the seventeen pilots in his squadron who joined the fighting over Dunkirk, there remained only six. Where were replacements to be found? Would wish to point out that John Allen DFC crashed In Omer Avenue in Cliftoville on 24th July 1940 which is about a mile from the Scenic railway on Margate’s seafront. If you wish to receive further information please do get in contact. Somehow the family have missed out on all the wonderful research you have been doing. To find out now that our uncle John has been so honoured so long after his death is remarkable ,…. John Allen had an older brother William( who married and had 4 children) and a younger sister Margaret , who married late in life and has no issue. William Allen married Christina Morrison Osborne in 1940. Kenn has been doing much research recently about John and I am surprisd he missed out on what you were planning…… for July last year. Please can you contact me so that we can meet sometime…. I live on the Ashdown Forest…. not too far away….. I would love to visit the University and see the place dedicated to him…. May I ask why the renewed interest ?